Google Chromecast released in the USA first, last year. The device was on sale for $35 there. Despite of tomorrow’s launch, UK retailer Currys & PC World listed the item in their website today. And, the price is not bad as well. Unfortunately, the item now out of stock from both of their website. Hopefully, the dongle will be in stock soon. Update 19/03/2014: You can now order the item for home delivery or order online and collect in store for £30. 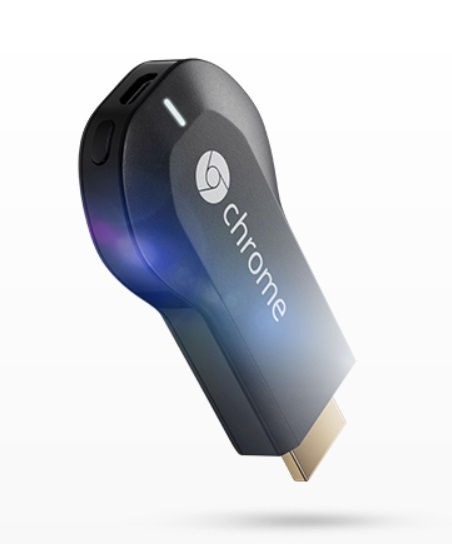 Unofficially, the Google Chromecast HDMI dongle is available in UK for a long amount of time now. This one costs you £35 with free delivery. I’m using one with my Samsung TV and working great with our WiFi connection. This is a pretty simple and cool device for your TV, if it isn’t already smart. The device is compatible with Android, iOS and Chrome browser. You can either use your phone, tablet or laptop. There is no listing in Google Play store about the device. If you live in the UK and want to buy this great Google Chromecast dongle, keep an eye on Currys website and PC World website. After Google unveiled the SDK, more apps and services supporting the Google Chromecast dongle. More apps are coming out as well from the developers hand. This is a recommended TV gadget to have one in your house.